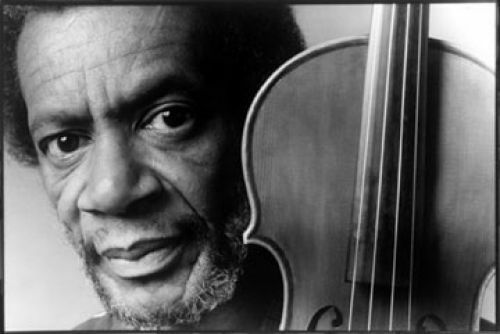 Free jazz’s leading violinist, Leroy Jenkins has greatly expanded the options and range of sounds and possibilities for stringed instruments in free music. His techniques have included sawing, string bending, and plucking. Jenkins plays adventurous phrases and distorted solos, while including elements of blues, bebop, and classical in his approach. Jenkins often lists as influences a diverse group of violinists (Eddie South and Jascha Heifetz) and other instrumentalists (Charlie Parker, Ornette Coleman, and John Coltrane, among others). Jenkins began playing violin at eight, often at church in Chicago. He was another student of Walter Dyett at Du Sable High, where he also played alto sax. Jenkins graduated from Florida A&M, where he dropped alto and concentrated on violin. He spent about four years teaching stringed instruments in Mobile, AL. Jenkins returned to Chicago in the mid-’60s and divided his time from 1965 to 1969 between teaching in the Chicago public school system and working with the Association for the Advancement of Creative Musicians (AACM). Jenkins was among the AACM musicians who left Chicago for Europe in the late ’60s. While in Paris, Jenkins, Anthony Braxton, Leo Smith, and Steve McCall founded the Creative Construction Company. He also played with Ornette Coleman there. Jenkins returned to Chicago in 1970 and moved to New York with Braxton shortly after, living and studying at Coleman’s New York home for three months. After working briefly with Cecil Taylor and Braxton, Jenkins played with Archie Shepp, Alice Coltrane, and Rahsaan Roland Kirk. 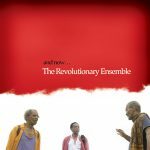 But more importantly, in 1971, Jenkins, Sirone, and Jerome Cooper founded the Revolutionary Ensemble, one of the decade’s great trios. They were truly a cooperative venture, with each musician contributing compositions and their performances often resembling works in progress. All three played several instruments during their concerts. The Ensemble maintained its integrity while making albums that were aesthetic triumphs and commercial flops for six years on various labels. After the trio disbanded, Jenkins made several tours of Europe and led a quintet and a trio featuring Anthony Davis and Andrew Cyrille. During the mid-’80s, he served on the board of directors of the Composers’ Forum and was a member of Cecil Taylor’s quintet in 1987, presenting many free music performances and written numerous pieces for soloists, small groups, and large ensembles. Jenkins also received a number of major commissions and grants during the ’90s for experimental and theater-based work and was in demand as musician-in-residence for several universities. Jenkins passed away in New York on February 24, 2007. A few of his Black Saint and India Navigation sessions are available on CD.